Quick Take: Breaking Bad, "Problem Dog"
(S0407) You basically have to book Aaron Paul’s second Emmy when the awards roll around again a little over a year from now, right? His scene at the Narcotic’s Anonymous meeting was simply phenomenal. Coming clean about Gale’s murder (although indirectly, replacing Gale with a dog), Jesse completely breaks down, and yet he shows an interesting balance of confidence as he fell apart, confronting Jere Burns, the other addicts and the whole concept of rehabilitation. All of the positive attitude and self-forgiveness in the world doesn’t actually change anything. It’s all an illusion of self-deception. Or at least that’s what Jesse’s come to accept. Regardless, the scene was the highlight of an episode which was also the highlight (so far) of the season. Jesse has murder on the mind at the meeting because Walt wants him to knock off Gus for him. Walt realizes that Mike’s assertion that Walt will never see Gus again is very likely true. But Jesse shared a moment with him last week, one in which Gus claims he “sees something” in Jesse. While Jesse clearly likes the positive reinforcement he’s getting, Walt reminds him that Gus is the same man who a.) wanted to kill them both not even a month before and b.) went back on his promise to no longer have children killed for the sake of his business. Of course, Walt is just manipulating Jesse (much more blatantly than normal), but Jesse doesn’t even need to hear his sales pitch. He’ll kill Gus the next chance he gets. Walt decides to go with the same method he had planned to use on Tuco back in season two: slipping a concentrated powder of the ricin taken from castor beans into Gus’ food or drink. And Jesse almost has to opportunity to do so soon after. Mike brings him to the same chicken farm meeting place from last season where Gus has an appointment with (supposedly) several cartel representatives. Jesse is to make the coffee before the meeting and considers slipping the poison into the grounds, but either decides not to or simply waits too long to do so. And then, the tension becomes even tenser when Mike gives Jesse a pistol “in case of emergency.” He could simply turn and try and pop off both Gus and Mike in the room, but even if he was able to do so (unlikely), Gus still had five or six other guys waiting outside. And yet, the opportunity was there. And then the meeting ended and it wasn’t. The conversation between Gus and the cartel representative (there because he can speak for the interests of the entire cartel) was pretty interesting in both what we heard and what we didn’t. Gus’ offer was a one-time-only $50 million bequeathing to the cartel that completely ends their relationship. The cartel rep’s response is with a question. Yes or no? We don’t know the question or the answer but the gravity of Gus’ decision is evident. The funny thing is while Gus knows about the threat the cartel poses to his livelihood and is probably aware of Walt intentions, maybe his most dangerous obstacle might be the most obvious: the cops. Hank meets with Steve Gomez and ASAC Merkert to debrief them on what he has learned so far in his consultative investigation into Gale Boetticher’s murder. The numbers written on the suspicious Pollos Hermanos napkin turned out to be the serial number for an industrial exhaust fan. The company that makes it also owns stock in the Los Pollos Hermanos restaurant chain. Hank surmises that maybe Gus is at the very least bankrolling the blue meth operation, if not running the whole show. Gomez and Merkert are rightfully skeptical until Hank points out that Gus’ fingerprints were found in Gale’s apartment (those fingerprints acquired when Hank took Walter Jr. out to lunch at Gus’ restaurant and accepted a refill request from the owner). For how often Breaking Bad takes the time to put Walt and Jesse into a corner and see how they can get out, it now seems like Gus is being put into that corner. The question is this: will he be able to get out? Yes or no? This episode seemed somewhat light on Walt which is saying something because it includes scenes where he hides hundreds of thousands of dollars, plans a murder and blows up a car. Still, this was Jesse, Gus and Hank's show tonight. The cold open was a pretty good advertisement for that Rage came coming out soon. Walt probably doesn't even realize that by giving Jesse the ricin to murder Gus, he's also giving Jesse an easy way out himself. I love me some Jere Burns. Good to see him back. So... is Walt Jr. going to be the second White family member working for Gus? Gus is ever the gracious host, isn't he? Gus will not get out of said corner. This series is a series of unfortunate series of events, things dont get better-they get worst. 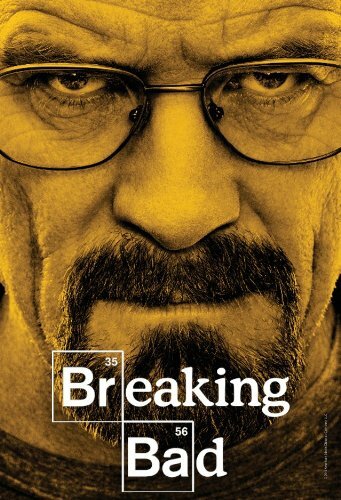 Gus has the DEA tracking him, the Cartel is against him, and Walt plans to murder him. I think the cartel will get him to before the dea does and walt cant hide forever. Eiter way, this episode was like the calm before the storm, the next 6 episodes are going to be a hell of a ride. And Aaron Paul took the grammy with this episode. Top tier acting. Totally agree with you - as fantastic as Bryan Cranston is, Aaron Paul is quietly stealing the show (again) at the moment. My question is - where exactly were Gus's fingerprints in Gail's apartment?? In the shot of the two prints, one came from something with the Los Pollos logo on it (obviously the cup on which Hank cunningly got his prints). The other one, which must have been from the apartment, was unclear but looked like a pool of blood. That just doesn't add up - we know Gus wasn't there on the night Gail was murdered and it seems unbelievable that he would ever have visited him at home. How could his prints have got into Gail's apartment?? He is way too careful to make a rookie mistake like that, and in any event his dealings with Gail will have been minimal. Do you wonder that perhaps the Cartel only wants Walt dead? Maybe that was the ultimatum? Walt dies; yes or no? Even though Walt presents the most amount of risk to Gus' operation, he is willing to dole out $50,000,000 for a "clean severance" from the risk of losing Walt. I could be wrong, but I believe the fingerprints that were in the apartment were the ones on the Pollos Hermanos napkin with the air filter's serial number. I don't think Hank was necessarily trying to imply that Gus was there the night of the murder; just that he's connected to Gale who is pretty clearly connected to the blue meth. Burmao: Or maybe it's the opposite. The Cartel might not want Walt dead. They might just want Walt. Cooking for them down ol' Mexico way. "... it seems unbelievable that he would ever have visited him at home." You should re-watch season 3, specifically the episode where GUS SHOWS UP AT GALE'S APARTMENT AND THEY SIT DOWN AND HAVE A CONVERSATION. I love reading between the lines as much as the next guy but it's kinda sad when you're calling things that happened in plain view of a previous episode "unbelievable". This wasn't even something that was hinted at or that you can figure out from context only, we (the viewers) literally watched it happen.